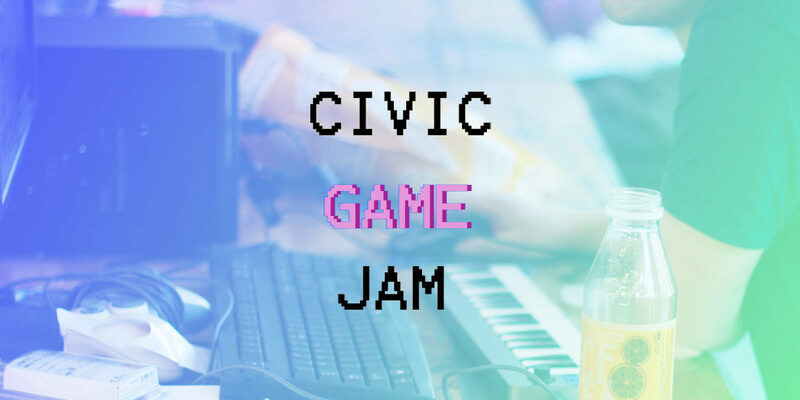 The Civic Game Jam series is a joint initiative by 2084/, BerlinGameScene.com and the Game Design // BTK. 2084/ is a platform for visual activism that connects diverse, conscious citizens and professional activists via community events and civic game jams. We make it interactive, inquisitive and inclusive. BerlinGameScene.com is the go-to source for all things playful in Berlin. The website was launched in 2015 and features a calendar of events, job ads, interviews, news and a newsletter. The project was created to provide a platform to promote all type of local game-related activities, with a focus on videogames. BerlinGameScene.com also organises the popular Talk & Play event, attracting 200 game enthusiasts every two months. As a private, state-accredited university, BTK in Berlin, Hamburg, and Iserlohn offers innovative programs in the areas of Communication Design, Photography, Illustration, Film + Motion Design, Game Design, Digital & Interaction Design, and Media Spaces. The university is a member of the world’s largest education network Laureate, which opens your eyes to truly international perspectives. All pictures on this site by Nomi.